Hoboken saw another double digit increase in county taxes when the County Board of Freeholders last week passed a $525 million budget slamming the Mile Square City with a double digit increase of 11.6%. 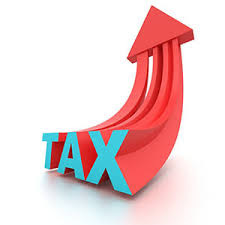 Last year's increase over 14% means Hoboken has seen more than 25% in increased taxes from HudCo in the last two years and almost 50% in the last five. Anthony "Stick" Romano, the Freeholder representing Hoboken voted no on the Hudson County budget which easily passed 6-3. Augie Torres laid out the bad news in a rather stoic political column on Saturday. $323.7 million to be raised by taxes, a 4.49 percent increase over the last year's $309.8 million levy. The Mile Square City's total 2015 county tax levy burden is $67.3 million, nearly 21 percent of the total county levy. Hoboken's actual county tax increase for this year is 11.6 percent, or $6.97 million over the previous year's county tax burden. The city taxpayers' share of the county budget's total tax responsibility is actually more than Hoboken's municipal tax burden of $52.8 million for this year's budget, approved March 18.